AT&T customers who’ve been holding out for the BlackBerry Q10 handset over the Z10 alternative will be pleased to know that, after quite a wait, the device will finally be arriving in stores on Friday. 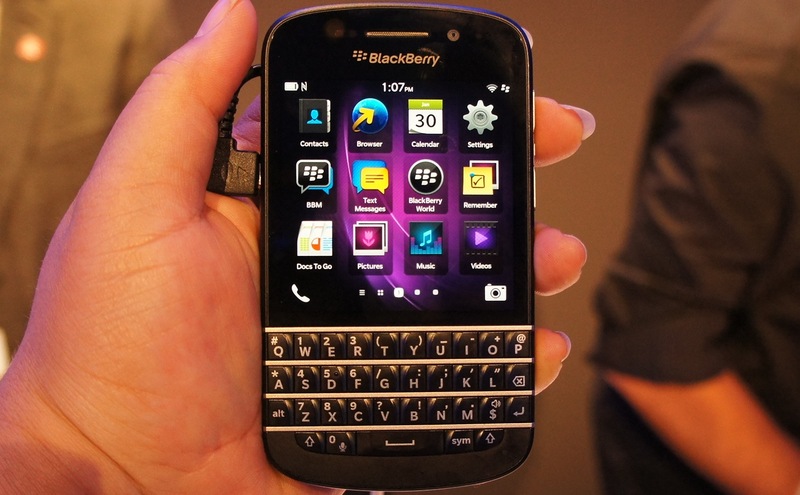 Complete with the physical keyboard so adored by BlackBerry fans, the Q10 will be available for $199.99 with a two-year contract. This matches the price set by Verizon, where the handset has been available for a couple of weeks now. Alternatively, T-Mobile is offering BlackBerry’s new device for $99, plus 24 monthly payments of $20. Sprint, however, won’t be carrying the phone till “late summer”. The BB10-powered Q10 follows in the footsteps of the touchscreen Z10, which hit stores in the US in March. The latest addition to BlackBerry’s line-up incorporates a 1.5GHz dual-core processor, 2GB of RAM, an 8-megapixel camera, and 16GB of storage memory. Whereas the Z10 comes with a 4.2-inch touchscreen, the Q10’s physical keyboard leaves it with a smaller, 3.1-inch display, also touch sensitive. That may put off a lot of smartphone users who’ve become used to all that lovely screen real estate found on most devices these days, but for diehard BlackBerry users who can’t live without the feel of that physical keyboard, it’ll have to do for now. Aware of the popularity of such keyboard-equipped devices, the Canadian company said recently it was gearing up for a July launch of the Q5, which, as its name suggests, is a low-cost version of the Q10. The mobile maker is reportedly also working on a new touchscreen phone, the A10, set to replace the Z10 as the company’s flagship handset. The device should hit stores before the holidays. The company formerly known as RIM is hoping that its new BB10 devices will help it to claw back some of the market lost in recent years to the likes of Samsung and Apple.